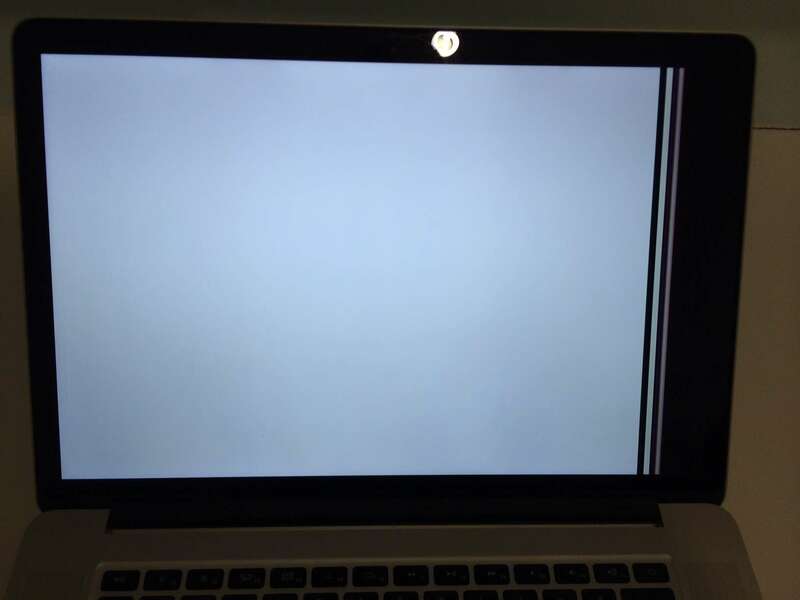 MacBook Pro’s have a panel of glass covering the LCD panel on the display. If you special ordered your MacBook Pro as a Matte screen MacBook Pro, this glass panel will not be present. You can know if you have a glass panel covering the LCD panel by looking at the color of the area surrounding your screen. If the area surrounding the screen is black, you have a glossy display with the glass panel covering the LCD. If the area around the screen is silver, you have a Matte LCD with no glass covering it. 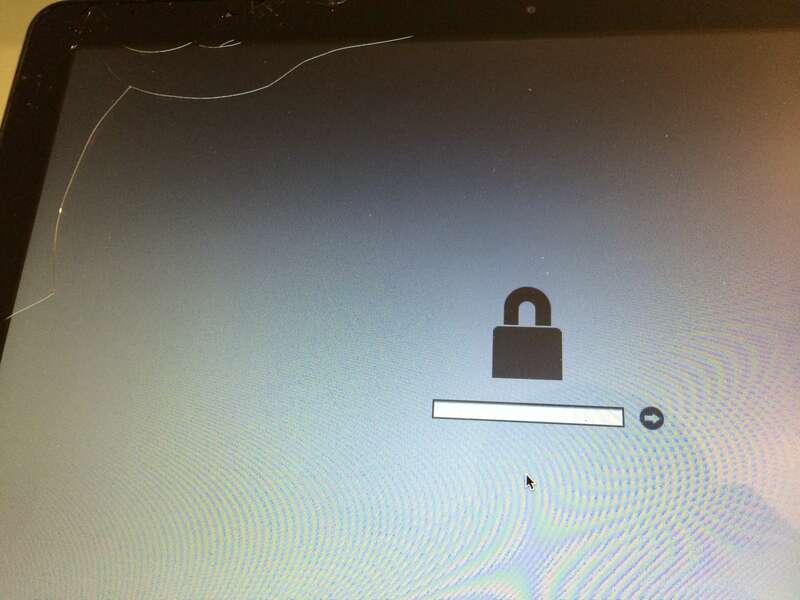 Sometimes when the computer gets hit just the glass is broken. The best way to describe the way this looks is using a car windshield as the example. For those of us who know what it looks like to have a cracked windshield, it looks the same on a computer with cracked glass. 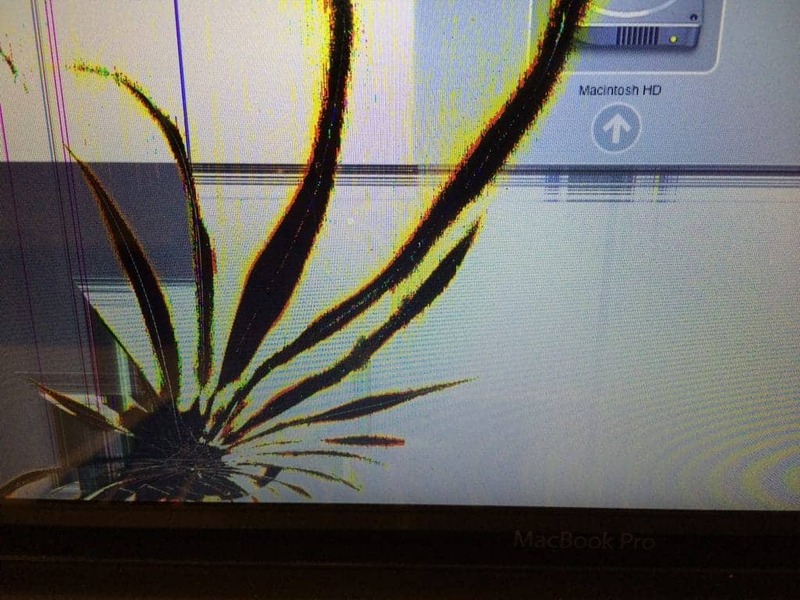 The image is still fine, but there are visible cracks in the glass over the image. I grew up in the middle of nowhere with a ton of trucks carrying rocks around for some reason, so I went through 3 windshields in 3 years. The sight of cracked glass can be nostalgic. The picture below is of a MacBook pro with cracked glass. We replaced the panel of glass covering the LCD, and it was good to go. We didn’t need to replace the LCD or the housing, so the repair was very affordable ($175 in this case). 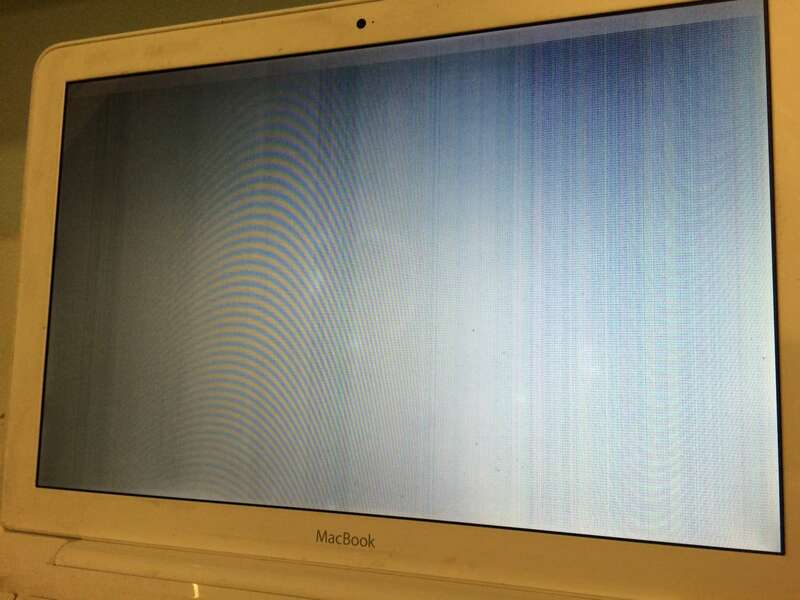 This MacBook has a defective display panel. We had to replace the panel with a new display to get the MacBook up and running.